Filippova N, Arefyev S, Bulyonkova T, Zvyagina E, Kapitonov V, Makarova T, Mukhin V, Stavishenko I, Tavshanzhi E, Shiryaev A (2017). Fungal records database of Khanty-Mansi Autonomous Okrug – Yugra (Russia, West Siberia). 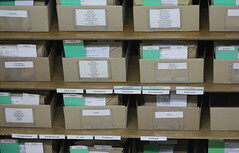 Yugra State University Biological Collection (YSU BC). Occurrence Dataset https://doi.org/10.15468/hfje3l accessed via GBIF.org on 2017-11-16. Filippova N (2018). Plot-based observations of macrofungi in raised bogs in Western Siberia. Version 1.3. 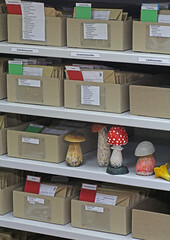 Yugra State University Biological Collection (YSU BC). Sampling event dataset https://doi.org/10.15468/e9g5ri accessed via GBIF.org on 2018-10-31. Filippova N (2018). The Fungarium of Yugra State University reference collection. Version 1.2. Yugra State University Biological Collection (YSU BC). Occurrence dataset https://doi.org/10.15468/g4bk6h accessed via GBIF.org on 2018-10-31. Filippova N, Popov E (2019). A new species and one interesting finding from Mukhrino bog, Western Siberia. Version 1.7. Yugra State University Biological Collection (YSU BC). Occurrence dataset https://doi.org/10.15468/g4ynvy accessed via GBIF.org on 2019-02-16. Justo A. et al. Molecular phylogeny and phylogeography of Holarctic species of Pluteus section Pluteus (Agaricales: Pluteaceae), with description of twelve new species. Phytotaxa. 2014. V. 180. № 1. P. 1–85. Nina Filippova, Tatiana Bulyonkova, Uwe Lindemann. 2016. New records of two pyrophilous ascomycetes from Siberia: Pyropyxis rubra and Rhodotarzetta rosea. Ascomycete.org, 8 (4): 119-126. Arefyev S.P. 2013. Pautinnik fioletovyy – Cortinarius violaceus (L.) Gray. Red book of Khanty-Mansiyskiy Autonomous Okrug – Yugra. p. 322. Filippova N.V. 2013 Entoloma temnookaymlennaya – Entoloma fuscomarginatum P. D. Orton. Red book of Khanty-Mansiyskiy Autonomous Okrug – Yugra. p. 323. Filippova N.V. 2013. Askokorine torfyanaya – Ascocoryne turficola (Boud.) Korf. Red book of Khanty-Mansiyskiy Autonomous Okrug – Yugra. p. 317. Filippova N.V. 2013. Sarkoleotsiya sharovidnaya – Sarcoleotia globosa (Sommerf. ex Fr.) Korf. Red book of Khanty-Mansiyskiy Autonomous Okrug – Yugra. p. 414. Stavishenko I.V. 2013. Geritsiy korallovidnyy – Hericium coralloides (Scop.) Pers. Red book of Khanty-Mansiyskiy Autonomous Okrug – Yugra. p. 421. Bulyonkova T.M. 2013. Psevdogidnum zhelatinoznyy, ili Lozhnoezhovik studenistyy – Pseudohydnum gelatinosum (Scop.) P. Karst. Red book of Khanty-Mansiyskiy Autonomous Okrug – Yugra. p. 422. Stavishenko I.V., Zvyagina E.A. 2013. Geritsiy kudryavyy, ili Kreolofus kudryavyy – Hericium cirrhatum (Pers.) Nikol. [=Creolophus cirrhatus (Pers.) P. Karst.]. Red book of Khanty-Mansiyskiy Autonomous Okrug – Yugra. p. 351. Svetasheva T.Yu. 201.3 Geoglossum sphagnolyubivyy, ili zemlyanoy yazyk sfagnolyubivyy – Geoglossum sphagnophilum Ehrenb. Red book of Khanty-Mansiyskiy Autonomous Okrug – Yugra. p. 316. Svetasheva T.Yu. 2013. Arreniya lopastnaya – Arrhenia lobata (Pers.) Kühner et Lamoure ex Redhead. Red book of Khanty-Mansiyskiy Autonomous Okrug – Yugra. p. 328. Svetasheva T.Yu. 2013. Openok chekannyy – Armillaria ectypa (Fr.) Lamoure. Red book of Khanty-Mansiyskiy Autonomous Okrug – Yugra. p. 326. Zvyagina E.A. 2013. Omfalina rozovodiskovaya – Omphalina discorosea (Pilát) Herink et Kotl. Red book of Khanty-Mansiyskiy Autonomous Okrug – Yugra.p. 330.